The batteries used in the home can be divided into saline and alkaline. Until recently manganese batteries were popular and demand existed, almost without change, in the form in which it began to be used. After the appearance on the market of alkaline batteries in 1960, it is the latter began to use the greatest popularity. The first battery was invented by Italian physicist Alessandro Volta in 1800, and she was salt. His discovery consisted in the fact that he joined the metal disks of zinc and silver, and saturated brine cardboard. Since then scientists have perfected the design and composition of the batteries. In 1820, British scientist John Daniel has developed a battery in which the electrolyte is to use zinc sulfate and copper. The power of such devices was 1.1 volts, and they could last for 100 years when used in door calls, phones and other devices. Alkaline batteries were first developed in the late 19th - early 20th century scientists Thomas Edison and Waldemar Hungarom. The General public, they were presented only in 1960. First sold alkaline batteries contained a small amount of mercury. In the modern quantity reduced to a minimum. To understand the difference between alkaline and carbon zinc batteries, refer to the General principle of operation of these devices. When the battery connects the device, there is a reaction, which appears in electrical energy. Such a reaction is called electrochemical. Inside the battery the electrons move, creating an electric current, from which feed devices. The anode and cathode separated by an electrolyte, i.e. an insulator. The electrons gather around the anode, the negatively charged end of the battery. They move to the cathode, when the two opposite end of the battery connect the wire from the outside. Once the device is turned off, the connection disappears, and with it the electric current. The anode in batteries is zinc and cathode is manganese dioxide. The most common are carbon zinc batteries and zinc. In a zinc salt battery, the electrolyte consists of a salt - chloride of zinc. 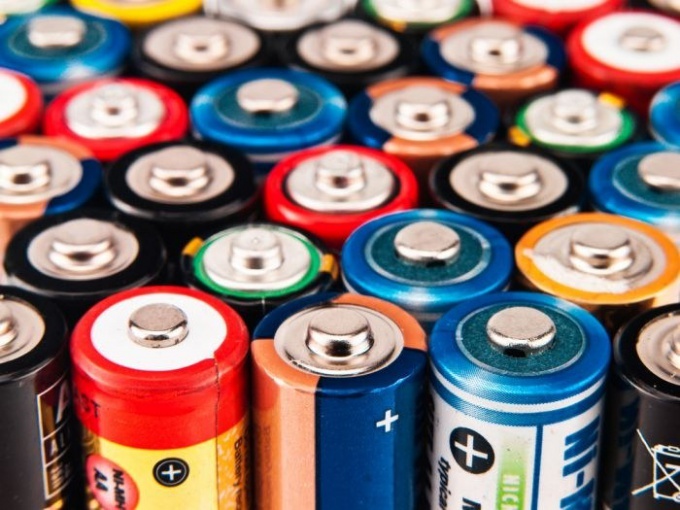 In General, the efficiency of alkaline batteries are superior to saline in 5-7 times. Unlike salt, in alkaline batteries the electrolyte is the salt solution used in the alkali solution (potassium hydroxide). Alkaline batteries are more efficient compared to saline. The secret is that instead of the zinc casing is used, the powder of the same metal, and the alkali by interacting with the cathode and the anode, produces more energy. A vivid example alkalinous batteries is Duracell. Zinc manganese batteries can operate in temperatures from -20 to +70 ° C. Their standard sizes AA and AAA and can be used in a variety of devices, from flashlights to clocks. The shelf life is on average 2 years. The average power of the battery is 1.5 volts. Alkaline (alkaline) batteries will last longer. They can be stored up to 10 years. Due to the alkaline electrolyte they work better at low temperatures. In size they do not differ from saline. Until recently alkaline batteries were impossible to recharge, but lately it has become possible. Such batteries not only can be recharged again and again, but they are able to hold a charge for many years. This is a great environmental advantage of such batteries. Alkaline batteries better meet the needs of the modern market, since its power consumption is constantly increasing. The life of modern man is very difficult to imagine without various devices running on batteries. Single finger and mizinchikovye batteries for these devices can be bought at every step. However, many people prefer to buy rechargeable batteries which can be recharged many times. The device did not fail at the most inopportune moment, it is very important to choose the right batteries. In shops usually there are finger and mizinchikovye batteries of several types. Most frequent Nickel-metal hydride and Nickel-cadmium. They are designated by letters Ni-MH, Ni-cd. Marking is usually on the body of the battery. Fall and any other type of battery — Nickel-manganese, lithium ion. Before heading to the store, carefully read the instructions to the device. It is possible that there is what are the batteries needed for this device. In this case your choice is greatly simplified. Buy only batteries that are specified. If the device is small, take it with you to the store. Sellers sometimes get confused and suggest you do is not what you need, if you do not see in front of the camera or recorder. Below such situations do not arise, show the seller the camera or recorder. If you have the device there, note the markings. 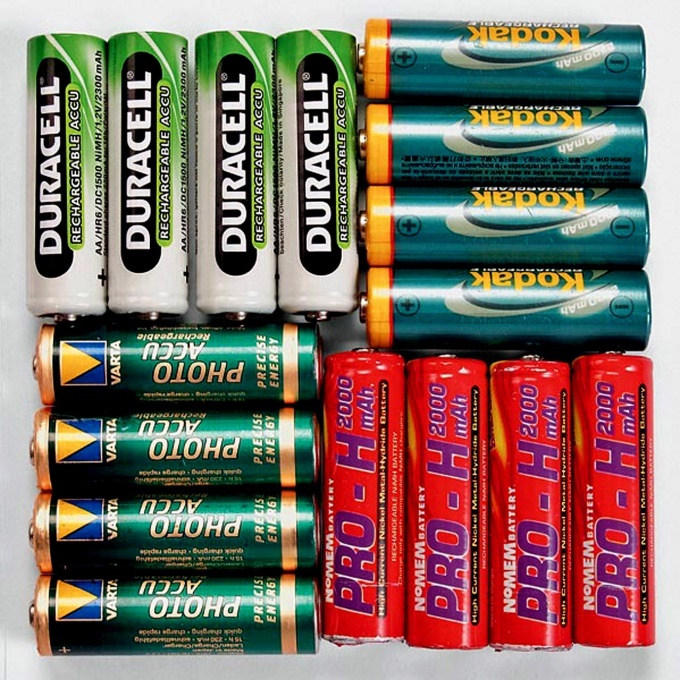 Batteries are denoted by AA, mizinchikov AAA. Think about the conditions in which you intend to use the device for which they are bought. If you are going to photograph in winter and summer, indoors and outdoors, then you need batteries that are not particularly sensitive to changes in temperature and discharged very quickly even in the big frost. Have this property of Nickel-cadmium batteries. They are easy to carry and strong heat. However, they have disadvantages. 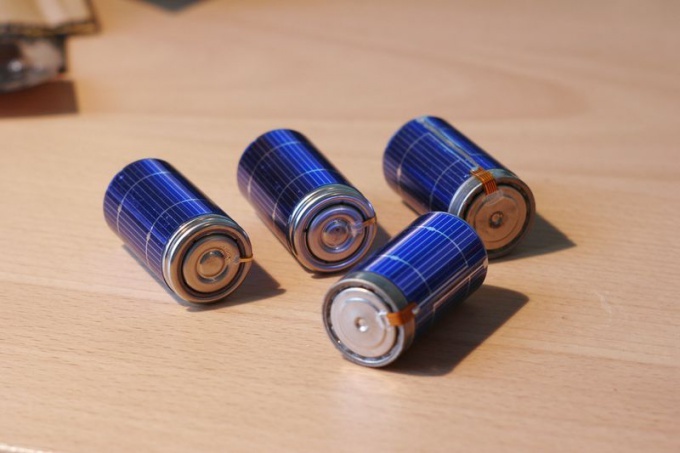 These batteries are less durable and are not designed for very large number of recharges. In addition, they can be put on the charger only after they are fully discharged. But this is not insurmountable. Most likely, along with batteries you buy and the charger. Select is, which is a function of total discharge. If the operation of the device when strong temperature differences or extreme conditions, you are not very interested in, note the battery marked Ni-MH. They drain quickly in the cold and extreme heat. But with high temperature work almost perfectly. In addition, they also have several remarkable properties. They are stronger and able to withstand quite a large number of recharges. While they should not completely discharge before the next charging. Unlike Nickel-cadmium batteries can be stored charged. This is very handy if you often get into conditions when there is nowhere to plug in the charger. Typically, the voltage that the battery gives, consistent with what is required for the vast majority of devices. However, there are exceptions, so do not be lazy to check the settings of your device and compare them with those written on the batteries. It may happen that your camera or recorder does not accept standard batteries. If you are going to use the device constantly and in a variety of conditions, buy two batteries or two pairs. While one pair is in the camera or the voice recorder, the second is charging. In this case it is more convenient to have different batteries for different conditions. Charger best buy universal, which is itself off when fully charged and would feature a full discharge. In our days the batteries is the best power source for small appliances and electronics, which helps a little bit to get rid of the wires. Despite the fact that most manufacturers are now trying to release their own batteries and chargers from a conventional battery it's still early to give up. Just need to know how to choose the right. Decide on the appliances. Different appliances consume different amounts of energy, so the batteries, which for many years provided the life of your console may not come with the camera. Depending on power, you will need different types of this power source. Select the type of electrolyte. Devices with weak power suitable zinc-carbon and zinc-manganese battery with an average power – alkaline, high capacity – lithium and silver. Depending on the purpose, select normal or rechargeable batteries. First, as a rule, have lower cost and higher capacity. Second have the ability to recharge, but they also gradually reduce the lifespan. Alkaline, lithium and silver batteries are very expensive, but they are able to work long hours and have time to recoup itself several times. Pay attention to the packaging. Manufacturers of quality products always specify the type of the electrolyte on the front side, and a large Russian letters. Do not dispose of batteries. They can cause great harm to the environment. Better save them in a separate place, and then get to a point of disposal. If the packaging does not say anything, better these batteries do not buy, they are often sold already discharged.